One red scarf, delivered for The Red Scarf Project. Not truly red but shown here, proof that its, um, winterberry red. Those might be beach rosehips but I'm a little lame on botany. I guess I did that local color thing again. Call me simple. A reversible cable that looks more cable-y blocked out. I'm now enamored of reversible cables for scarves. I found this pattern which goes on my long long list of Scarfs I Hope To Get To. I'd just love to make photos of all the scarves that showed up for this at the Orphan Foundation headquarters. Wish I'd thought of it sooner. 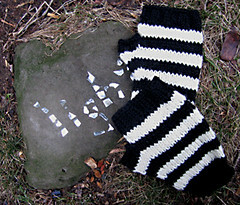 And one last pair of fingerless mitts for Nona's KAL. Gayle, you are anything but simple. Thanks for touting the Red Scarf Project and hooking me into my first knit-along. 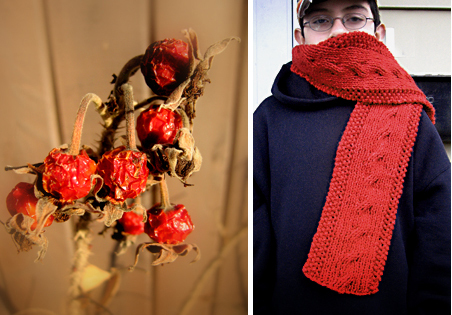 That Steam Scarf is a hot number; perhaps we can knit it together (albeit long-distance) sometime? Please keep the spectacular photos and the equally coolicious text coming. You finished in time! Your red scarf looks great. I have Steam on my list of scarves to knit too. 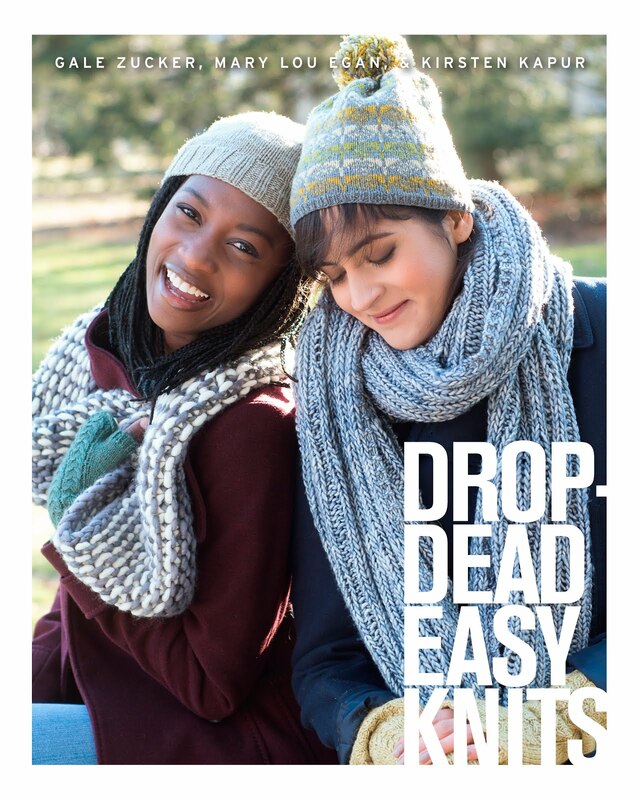 Thanks for the inspiration to knit a scarf for the red scarf program -- I'll be knitting one. You also cannot go wrong with another pair of Peaceful Palms! Great scarf and what a wonderful project that it is going to. go red (or not) scarf project!